This is taken from [Facilities.net]. This article covers some common tips on how ADA violations can result from housekeeping. Many businesses believe that ADA violations are generally structural issues, but some general understanding can help businesses avoid ‘no brainer’ violations that fall out of the purview of architects and other design and construction professionals. I’m Dan Hounsell, editor of Maintenance Solutions magazine. Today’s topic is, common ADA violations. 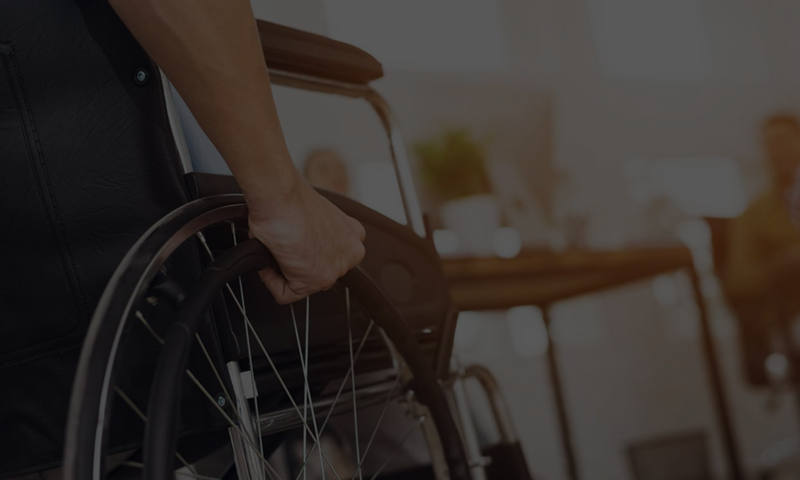 Twenty years after the enactment of the Americans with Disabilities Act, or ADA, institutional and commercial facilities continue to struggle in their efforts to comply with ADA’s accessibility guidelines. Here is a look at the more common ADA violations still found in facilities. In the built environment, violations range from curb ramps and ramps that are too steep, to a lack of parking with a marked access aisle and signage. Ground markings are not effective because they are not visible at night or when covered with snow. In restrooms, the most common violations involve toilets not mounted the correct distance from walls or partitions, and toilet flush valves on the wrong side. If the flush valve is on the wide side, users must reach over the toilet to flush. • Housekeeping workers placing a garbage can next to the restroom exit door. Clear space next to door gives a person using a wheelchair enough space to approach the door, reach the door handle and open the door. • Placing garbage cans directly in front of call buttons for elevators, again impeding the progress of someone in a wheelchair or using a walker to reach the buttons. • Mounting objects on walls that project 4 inches or more from the wall. If the objects are 27-80 inches from the floor, someone with a visual disability will miss the item on a cane sweep and walk right into the object. The structural and design violations result from not following, understanding or paying attention to the ADA guideline and relying solely on building code and code officials. The operational violations, although not permanent or fixed items covered under the ADA guidelines, still create barriers. In short, ADA violations run the gambit from very expensive items that are inherent in the building to purely positional things, like furniture or trash cans. This is hard for people who have never been disabled to understand, so I am glad that others are catching on. Still, if you have a housekeeping or janitorial service, you ought to instruct them so as to avoid these common issues. This also applies to construction — temporary paths of travel are required to be compliant under the ADA, something most contractors don’t understand… and something that falls beyond the purview of what most building departments would ever think to even look at.